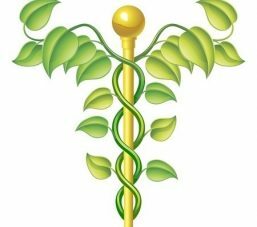 Providing Quality Holistic Education Since 1994: Since 1994, The Avicenna Institute has trained students in holistic techniques from around the globe. Students explore the common thread that runs through all holistic systems, as well as gain knowledge from holistic traditions that would be lost if not preserved in courses like the ones offered here. All classes include private instruction, online classroom instruction, video and audio resources. A certificate is sent to each student upon completion of the courses. You can enroll as a student HERE. 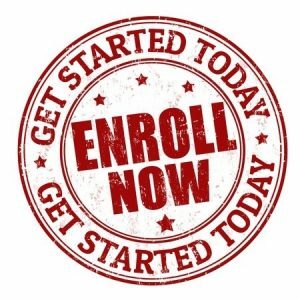 Memberships: The Avicenna Institute is also a member of The American Herbalist’s Guild, The American Nutrition Organization and the National Center for Homeopathy. Dean of Students: Kristie Karima Burns, MH, ND, Ph.D. has been consulting since 1993 and a teacher since 1986. Dr. Burns, Ph.D. is a Naturopath, Iridologist, Reflexologist, Aromatherapist, Herbalist, IET (Integrated Energy Therapy) Practitioner, Temperament Therapist, and Homeopathic Consultant. Ms. Burns’ education as a holistic consultant started in the ancient Souks (markets) of Cairo where she met with some of the famous Attar (traditional healers & herbalists) who had been healing with herbs and nature for hundreds of years and had passed down the art to their children over many generations. They shared with her many of their secrets, many of which she was able to use to help herself. She spent the next six years in Cairo working and studying with natural healers of the region as a way of further exploring the craft. When she returned to the United States six years later holistic living had become a part of everyday life. To enhance the education her mentors have provided during her intense apprenticeship training, she returned to school to study other forms of holistic training. She started pursing formal studies to gain her Masters in Herbalism and a Naturopathic Doctorate in 1996. In 1999 she earned a Certificate in Iridology. She lectures at and attends seminars around the world. Student Feedback and Reviews: Although The Avicenna Institute has been recognized by a number of important people and organizations (see below) we feel that our best reviews come from our students. Our students include massage therapists, doctors, dentists, herbalists, and medical students, as well as people who are new to the field. You can read some of their feedback on our Testimonials page. Accreditation: The Avicenna Institute has been recognized by a number of prominent schools, institutions and organizations around the world which we have listed below. Credit Hours: You can see the credit hours for each course on the purchase page. You can learn more about how our credit hours work HERE. Students submit our courses to The Board of Natural Medicine Certification Council to gain credit for courses they have taken. BNMDP-NA is a non-profit organization established in 1998 as the Examining Board of Natural Medicine Practitioners-North America(EBNMP-NA) as per World Health Organization Alma Ata 1962 accord, and is accredited and affiliated with the World Organization of Natural Medicine WONM-Registry by authority of its Registrar, accredited by the American Naturopathic Association (ANA) and acknowledged by the American Naturopathic Medical Association (ANMA). It serves as a Registry for Traditional (Nature’s)Natural Medicine Doctors and Practitioners in North America and Its sub- boards are responsible for the administration of clinical competency examinations for certification. Courses from the Avicenna Institute are accepted by this organization and many more organizations around the world. LILIPOH is an independently-owned natural health and lifestyle magazine, with a small staff of editors, writers, artists and friendly service people who care about and believe in the content we present. After 14 years in publication, they have a solid editorial team, a lively family of over 100 advertisers, and a circulation of over 30,000 copies per quarter. Based in the US, LILIPOH is international in scope, often reporting on worldwide initiatives, with subscribers in over 16 countries. In the summer 2009 issue, Lillipoh published an article by instructor Kristie Karima Burns, MH, ND on her theory of the temperaments and typology in healing and education. Kristie Karima Burns, MH, ND has been invited to speak at a number of Internationally recognized conferences in California, Colorado, Kuwait, Texas, New Hampshire and more. She is a regular speaker at the Waldorf in the Home Conferences on topics of healing and education. Her speaking engagements include topics like “Herbs for Kids”, “Typology and the Temperaments”, “Herbal Preparations”, “Iridology” and more. Articles by Kristie Karima Burns, MH, ND have been quoted as expert sources in a number of magazines and books including Smithsonian Magazine, Cry on the Mountain (book), Beyond Natural Cures (book) and many more. We have a full list of these quotes we are preparing which will be ready in the near future. Kristie Karima Burns, MH, ND has written over 500 articles. Approximately half of these articles cover information about Middle Eastern Medicine, an area she studied in detail when she lived in the Middle East for 16 years. Dr. Burns is considered one of the foremost experts on the topic of Healing in the Middle East and how that relates to Western medicine and alternative medicine. Many of her articles have been reprinted or featured on hundreds of online websites, including the official website of Dr. Peter J. D’Adamo at Eat Right 4 Your Type. Kristie Burns, MH, ND has been asked to speak on a number of radio shows. One of her interviews is posted at: Business Talk Radio. In this interview she talks about her unique approach to healing. You can link here to listen to the interview: Business Talk Radio.